With a change in Administrations less than two months away, experts who monitor the federal tax code and charitable giving are suggesting that donors may want to accelerate their giving to nonprofits for the 2016 fiscal year. Steven Mnuchin, who has been proposed as the next Treasury Secretary, recently stated that the incoming administration is about to embark on the “largest tax changes since Reagan,” which could weaken incentives for charitable giving. Although it remains to be seen what, exactly, will be changed in the federal tax code under the new Administration, the President-elect has expressed support for significantly increasing the standard deduction that single and married couples can claim as income exempted from taxes. The net impact of this will mean that far fewer people would need to itemize deductions, which could change what many Americans contribute to nonprofit charities. As the standard deduction “goes up, it’s reducing the incentive for giving,” notes David Thompson, Vice President for Public Policy at the National Council of Nonprofits. Another proposal would cap the deductions that taxpayers can itemize. For the wealthy, this might have a big effect on how much these Americans give to charitable organizations. One version of the revised tax plan would cap the wealthiest taxpayers’ deductions to $100,000 for single filers and $200,000 for married filers. This means that couples who want to donate $1,000,000 to protect the environment or end homelessness would be able to deduct only one-fifth of that amount. Citing data from states that have capped deductions, Thompson says that these types of policies seriously hurt nonprofits. Moreover, if itemized deductions are limited by the cap, then some charitable donation deductions in future years to be disallowed altogether. According to Ray Martin of Moneywatch, folks in higher income brackets planning to make charitable donations in future years should consider “bunching,” or front-loading, their donations for the next several years by making larger gifts before December 31, 2016. One way to do this, Martin says, is to use either a donor giving account under a charitable giving program or a donor-advised fund, offered by most major financial firms. Regardless of what the future holds, IDA relies on the generosity and philanthropic spirit of its donors, who provide more than 80 percent of our annual operating budget. 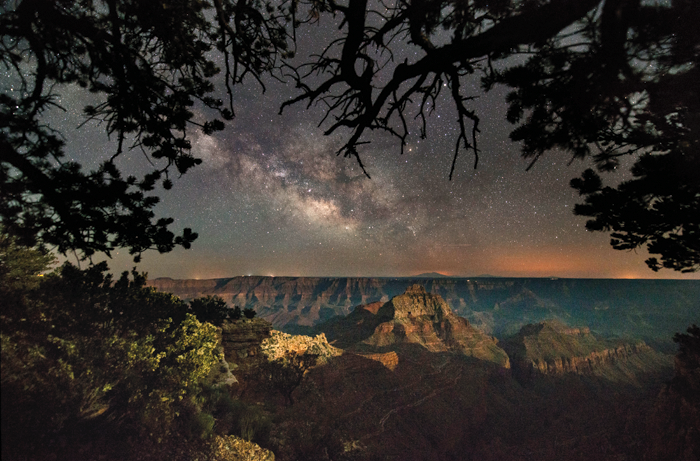 Please invest in our mission and programs to reduce light pollution and its many environmental impacts by making a gift today. Thank you, and have a wonderful holiday season! Next post: Without the Stars We Wouldn’t Have “Star Wars”!